Supercars are generally considered to be the domain of the men. 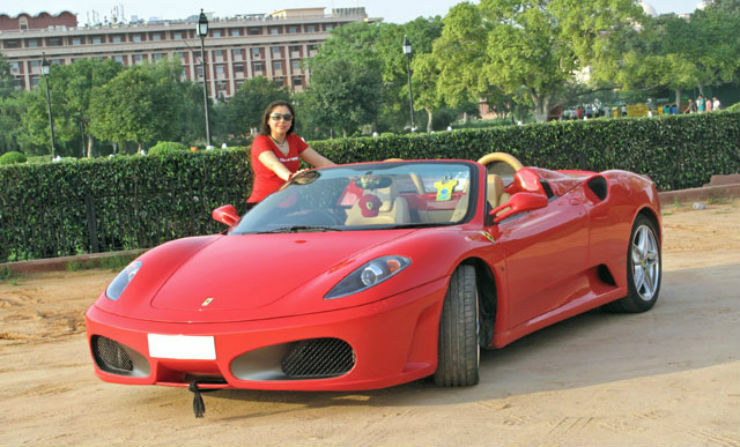 However, there are many women who own and drive supercars all around the world and India is no different. In this list, we’ll take a look at some of the women supercar owners in India. Taran Kaur Dhillon, better known by her stage name of Hard Kaur is known internationally for her hip-hop songs, who first came into the spotlight with the song ‘Ek Glassy’. She has also worked as an actress and playback singer in Bollywood movies. 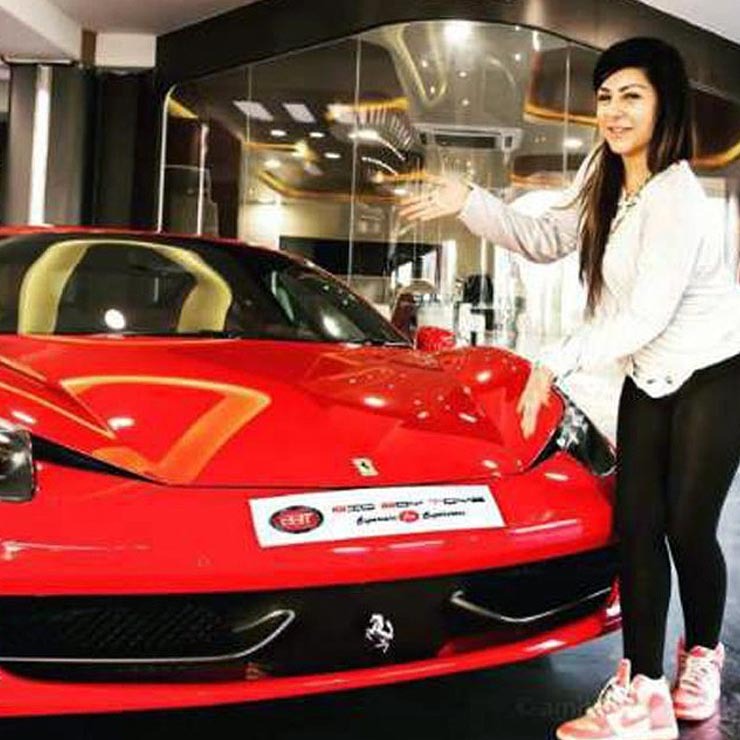 Hard Kaur’s supercar of choice is the Ferrari 458 Italia that she purchased from popular second-hand car dealer Big Boyz Toyz. The Ferrari 458 is powered by a screaming 4.5-litre V8 engine that produces 562 Bhp at 9,000 rpm and 540 Nm of torque at 6,000rpm. The engine is mated to a 7-speed dual-clutch automatic gearbox. The Ferrari 458 Italia sprints from 0-100 km/h in just 3.4 seconds and has a top speed of 340 km/h. Bollywood actress Shilpa Shetty is best known for roles in movies like Phir Milenge and Life in a Metro and for winning the fifth season of British reality tv show Celebrity Big Brother. 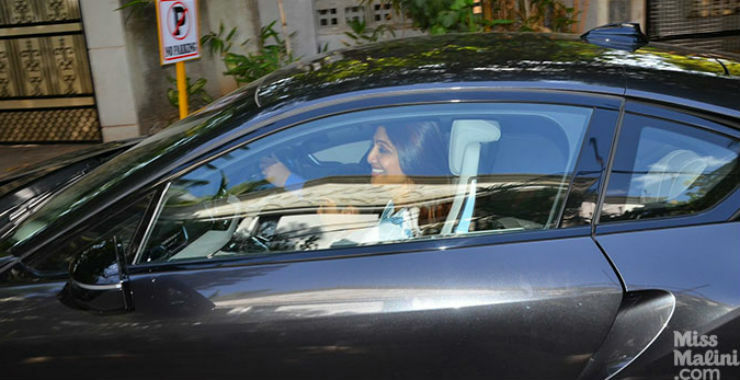 The actress and wife of former Rajasthan Royals IPL team owner and petrolhead Raj Kundra purchased a BMW i8 last year. The i8 hybrid sportscar is BMW’s flagship performance vehicle and produces 228 Bhp and 320 Nm of torque from its 1.5-litre turbocharged petrol engine along with 129 Bhp and 250 Nm of torque from its two electric motors. The BMW i8 can do 0-100 km/h in just 4.4 seconds and has a top speed of 250km/h. Mallika Sherawat is a Bollywood actress known for her role in films like 2003’s Khwahish and 2004’s Murder. Sherawat has now settled in down in the UK and her supercar of choice is the Lamborghini Aventador SV. The Aventador SV was the first special edition version of the V12 Lamborghini flagship. The Lamborghini Aventador SV is powered by a 6.5-litre V12 petrol engine that generates a maximum power of 740 Bhp and 690 Nm of torque which is sent to all four wheels via a 7-speed semi-automatic gearbox. The Aventador Super Veloce sprints from 0-100 km/h in just 2.8 seconds and has a top speed of 350 km/h. 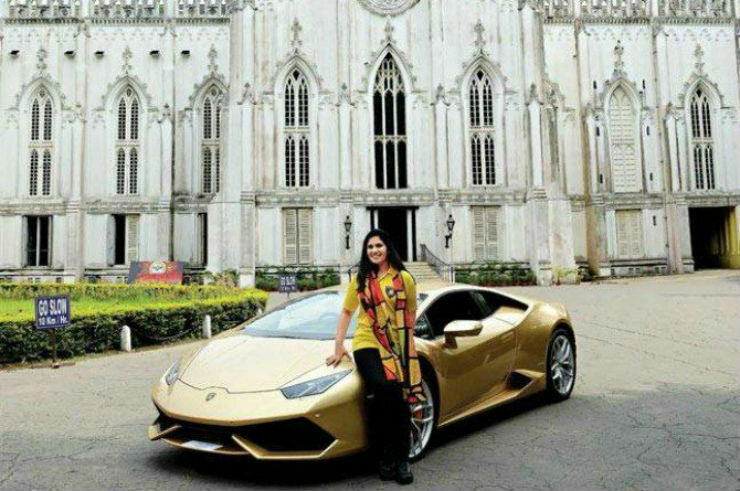 Sheetal Dugar is a 40-year-old lady from Kolkata who bought the world’s first Lamborghini Huracan in the custom shade of Oro Elios, a variant of Gold. The Lamborghini Huracan is powered by a 5.2-litre V10 engine that produces 610 Bhp at 8,250 rpm and 560Nm of torque at 6,500 rpm. The Huracan can sprint from zero to 100 km/h in 3.2 seconds and has a top speed of 325 km/h. 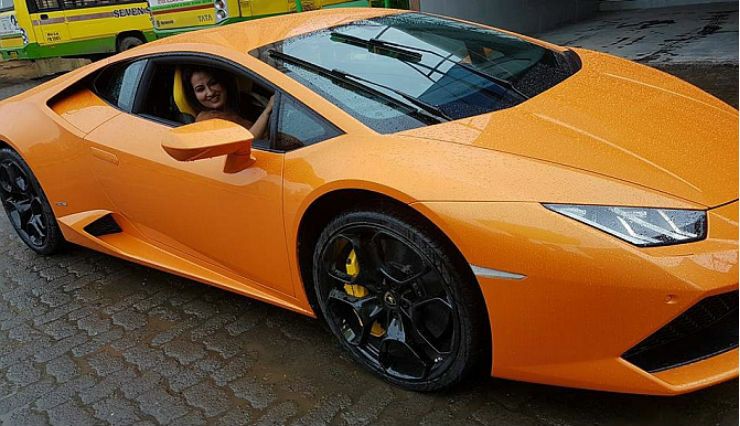 Suman Mehta became quite popular in 2016 after an accident involving her brand new Lamborghini Huracan. The Huracan was gifted to Mehta by her husband, a BJP MLA. Mrs Mehta’s Huracan is painted in the Arancio Borealis shade, which matches the Saffron colour that symbolises her husband’s political party. Swati Bagga is a petrolhead from the national capital of New Delhi. The California T is the third prancing horse owned by Bagga after the F430 Spider and the 458 Italia. She also owns a BMW Z4 and a Jaguar F-Type V6S. The California T is powered by a 3.9-litre twin-turbo V8 engine that produces 553 Bhp @ 7,500 rpm and 755 Nm of torque @ 4,750 rpm which is sent to the rear wheels via a 7-speed dual clutch automatic gearbox. The California T sprints from 0-100 km/h in just 3.6 seconds and has a top speed of 315 km/h.